This is one of the coolest things you could see at a K-Mart back in the late ‘70s. The kiosk, not vintage video game collector Jason Brassard, who shows off the beige beauty in Trade-in-Games’ video. He’s pretty cool too. 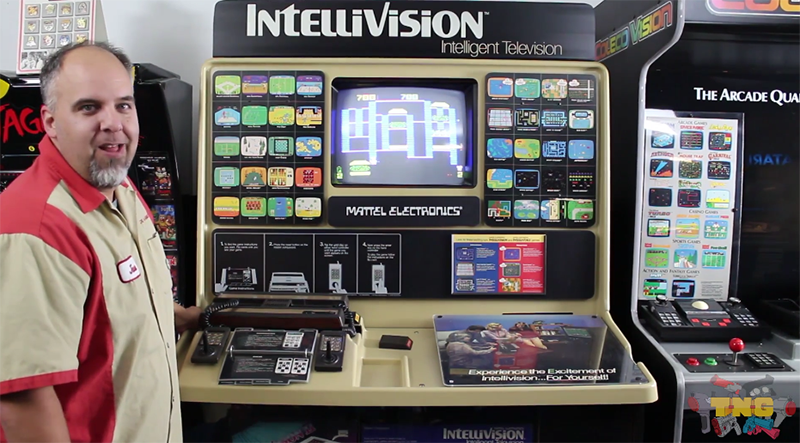 Mattel’s Intellivsion was on the losing side of the first console war, but you couldn’t tell six-year-old me that when I got in front of one of these displays. I gazed upon a display very much like this back in King of Prussia, Pennsylvania as a kid and I saw the future. A future where I would ask for an Intellivision Aquarius for Christmas one year and then immediately regret doing so. I was not a bright child. As Jason did with his restored Dreamcast display, here he takes us through the ins and outs of one of the last Intellivision retail kiosks in existence. It’s basically a cabinet with a plastic top and a hole cut out for a television, but back then it was magical.